When eTap came out, it completely revolutionized electronic shifting. You no longer needed wires in order to shift you derailleurs which created a much cleaner look that was much easier to install on any bike model. 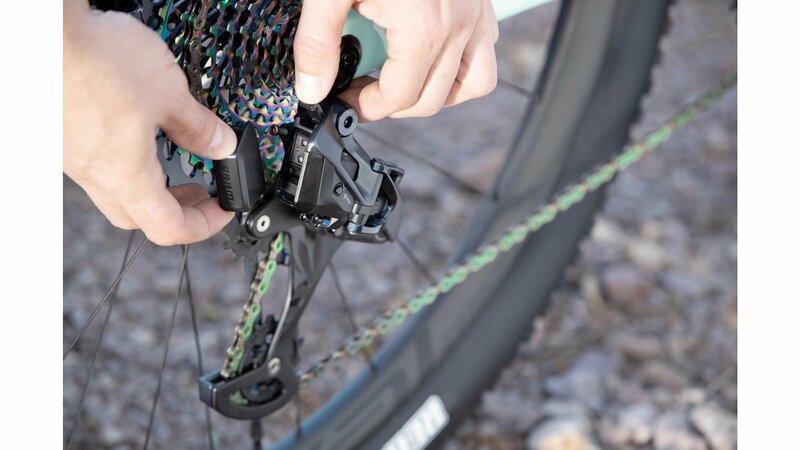 Now, this same technology is available for mountain bikes with the SRAM XX1 Eagle AXS Groupset. This new groupset brings wireless electronic shifting to the trail which enhances capability and removes complexity. SRAM's Eagle drivetrains come with a cassette that has an exceptional 10-50-tooth gear range so riding in any terrain becomes a breeze. The simplicity and efficiency of a 1x12 drivetrain provides riders an experience like never before imagined. The new AXS system connects the electronic components to your phone so you can see the battery status, change your component behavior, personalize controls, get maintenance reminders, and update the firmware. You'll be connected to your bike in a new way that was never possible before. 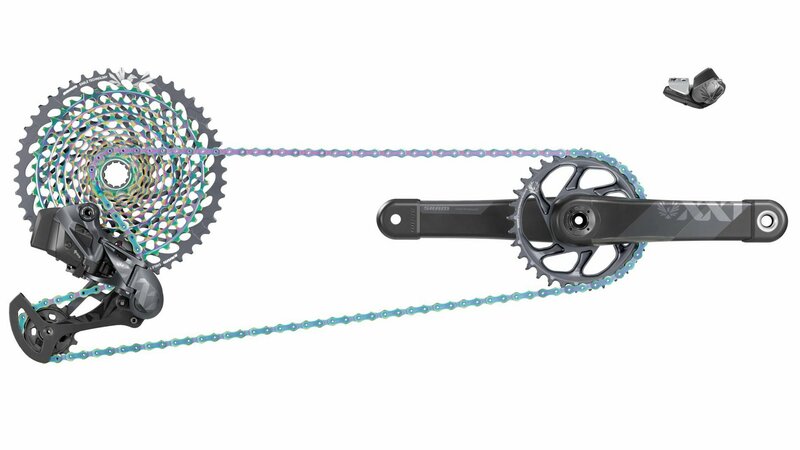 The XX1 AXS DUB Groupset comes with an XX1 rear derailleur with a battery, an XX1 trigger shifter with a clamp, an XX1 DUB Boost Crankset with a direct-mount 34-tooth chainring, a Rainbow Chain with 126 links, an XG-1299 cassette with a 10-50-tooth range, a charger/cord, and a chain gap gauge. 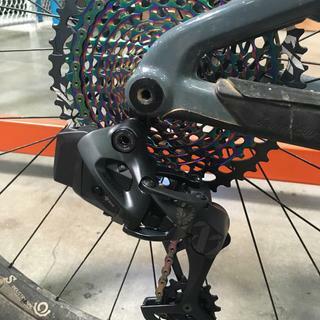 If you're looking for the ultimate drivetrain for your mountain bike, then look no further than the SRAM XX1 AXS Groupset. Not sure what the review before me is talking about.... There is absolutely no lag and the under load shifts are so seamless and smooth. It will take some time to figure out battery life and get into a cadence of charging the battery. Install is stupid easy! No cables to fish through the frame, just bolt it on and sync! Another awesome aspect is the ability to hold the button down for multiple shifts. Overall i'd say I am happier than I expected to be especially given the price. 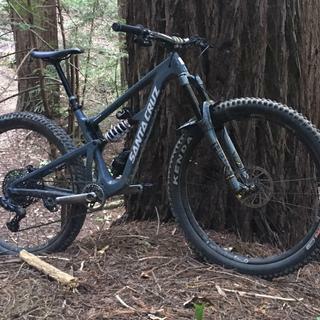 if i have already a sram eagle XX1 can i convert in to a sram axs only buying the eagle axs controller and the xx1 axs eagle derailleur or i have to buy the all group set ? Yes and kind of no. Currently, SRAM is only offering the AXS groups as a full build kit. We don't have any defined timeline of when the rear derailleur and shifter will be available individually. Hopefully soon. In the meantime, the fastest way to get it on your bike would be to buy the complete group. Is it a 6mm or 3mm chainring? BEST ANSWER: These are the 3mm kits for boost bikes. How.long do the batteries last? BEST ANSWER: 20 hours for the derailleur and years for the shifter.